October 20, 2018 presentation by Megan Beets and Tom Wysmuller on the fraud of man-made climate change to a Manhattan audience. A Resolution To Defend Billions of Lives: WE SAY NO TO PARIS COP21! The conditions of life for billions of people depend upon rejecting the agenda being presented at the 2015 United Nations Climate Change Conference to be held in Paris this December. The COP21 Paris initiative to adopt a legally binding agreement to reduce CO2 emissions must be rejected on two grounds: the scientific reality that mankind's activity is not going to cause catastrophic climate change, and the very real, lethal consequences of the CO2 reduction programs being demanded. There is no legitimate basis for having the COP21 conference. Put an end to this now! The conditions of life for billions of people depend upon rejecting the agenda being presented at the 2015 United Nations Climate Change Conference to be held in Paris this December. The COP21 Paris initiative to adopt a legally binding agreement to reduce CO2 emissions must be rejected on two grounds: the scientific reality that mankind's activity is not going to cause catastrophic climate change, and the very real, lethal consequences of the CO2 reduction programs being demanded. Despite the climate-change narrative being presented by an extremely well-funded, top-down propaganda campaign, there is an immense amount of solid scientific evidence which clearly contradicts and/or refutes the claims of coming catastrophic climate change caused by human emissions of greenhouse gases. For example, satellite measurements have shown that there has been no average rise in global temperatures for over 18 years, despite the fact that human greenhouse gas emissions have been increasing at an accelerating rate. This underscores the reality that the climate simply does not respond to CO2 levels in the way claimed by climate alarmists; said otherwise, the Earth's climate system is not highly sensitive to changes in atmospheric CO2 concentrations. More to the point, this scheme is being intensely promoted by modern followers of the population reduction ideology popularized by Thomas Malthus. Organizations such as the World Wildlife Fund/World Wide Fund for Nature (WWF) have repeatedly declared that current human population is billions of individuals beyond the Earth's ”carrying capacity,” and must therefore be reduced by some billions of people. The present push for a CO2 reduction program is deeply rooted in this Malthusian ideological motivation. But Malthus was wrong in the Eighteenth Century, and his followers are wrong today. Energy-intensive scientific, technological, and economic growth is essential to human existence. This can be measured by transitions to higher levels of energy flux-density, per capita and per area. Such progress, growth, and development is a universal right, and CO2 emissions are presently a vital part of that process for the overwhelming majority of the world's population. The adoption of a legally binding CO2 reduction scheme at the COP21 conference in Paris will condemn billions of people to a lower quality of life, with higher death rates, greater poverty, and no ability to exercise their inherent human right to participate in the creation of a better future for society as a whole. For these reasons the CO2 reduction scheme of the COP21 conference in Paris must be rejected. Add my name to this petition! EIR U.N. Seminar "'Global Warming' Fraud is Population Reduction, Not Science"
On the eve of the UN General Assembly in New York, EIR hosted a press conference in Manhattan on the fraud of the man-made 'global warming' scare, debuting the new special report, "'Global Warming' Scare is Population Reduction, Not Science." The seminar developed into a fascinating dialogue between press and institutional figures from around the world on past and present population reduction policies vs. the global economic development projects desperately needed around the world. Full proceedings of September 22, 2015 seminar in Manhattan. Executive Intelligence Review has just released a special report, 'Global Warming' Scare Is Population Reduction, Not Science. We are releasing this report internationally, now, to defeat the efforts to impose a disastrous and murderous carbon emissions reduction treaty at the upcoming Conference of the Parties 21 UN climate change conference in Paris. The full report is available in print and electronically for $25. A preview PDF is available here. 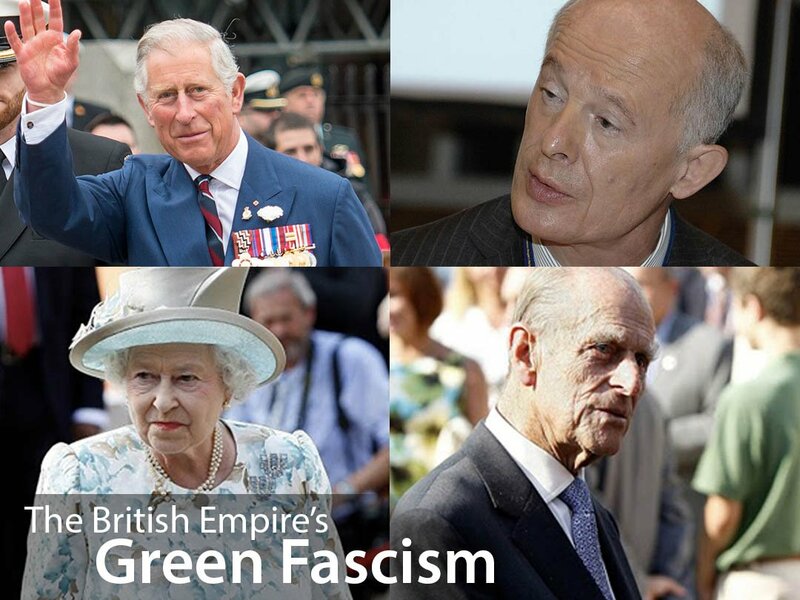 In the name of saving the environment, the British Royal family—through their agent John Schellnhuber, an official Commander of the Order of the British Empire—has moved to take over the Catholic church and use it as an instrument for their global depopulation, genocide agenda. Hans Joachim Schellnhuber, named Honorary Commander of the Most Excellent Order of the British Empire (CBE) by Queen Elizabeth in 2004, who is a leading advocate of lowering the world’s population on behalf of the environment, played a leading role in the publication of the Pope's latest encyclical, Laudato Si. The Catholic Church, who has been a leading opponent of the fanatical view of man generally espoused by the British Monarchy, has suddenly switched positions under the influence of Schellnhuber who, in 2009, at a British-German Climate Conference, asserted, "In a cynical way, it's a triumph for science, because at last we have stabilized something—namely the estimates for the carrying capacity of the planet, namely below 1 billion people. What a triumph." To achieve their goals, Schellnhuber, and now the Catholic Church, are proposing a “decarbonizing” of the world’s economy, which, at a moment when robust global development has become a top priority once again for the BRICS nations, namely China, India, Russia and South America, the push to “decarbonize” the global economy is understood as nothing less than a declaration of war against this emerging bloc of nations. Where did Schellnhuber come from? • After having founded the Potsdam Institute on Climate (PIK), Schellnhuber was brought to the UK in 2002, to assume the post of Research Director at the Tyndall Centre for Climate Change Research in Norwich, a branch of Oxford University's Tyndall Center. He was also brought on to the Oxford University Physics Department and the Environmental Change Institute. • In early 2004, Queen Elizabeth II considered Professor Schellnhuber as the best man for a sensitive operation to pressure President George W. Bush into agreeing to the anthropogenic climate-change swindle. Schellnhuber traveled to Washington, D.C. along with Prime Minister Tony Blair's top science advisor, Sir David King, who is now the British Crown's Special Representative for Climate Change, appointed by the Foreign and Commonwealth Office in Sept. 2013. The Bush White House reportedly complained to Blair about this mission. • Also in 2004, the Queen traveled to Berlin to open the German-British Climate Conference, on which occasion she dubbed Professor Schellnhuber a Commander of the Order of the British Empire. • In 2005, Blair turned to Schellnhuber to organize a conference on "Avoiding Dangerous Climate Change," at the G-8 summit in Gleneagles, Scotland. The proceedings, edited by Schellnhuber, with an introduction by Tony Blair and IPCC head Rajendra Pachauri, were published by Cambridge University Press. • With Professor Schellnhuber as chairman of the advisory board, the European Climate Foundation (ECF), from 2007 on, generously funded German "climate activists" from the above-named sources, while at the same time, Schellnhuber was working with the EU Commission on guidelines for the reduction of CO2 emissions. • As Angela Merkel's current energy advisor, Shellnhuber bears the main responsibility for inducing Merkel to make the climate-change question the top agenda item during Germany's presidency of the EU in 2007--something which not only wrecked Germany as an industrial nation, but also seriously compromised Merkel's personal integrity as a scientist. • In 2009, Schellnhuber, in close collaboration with Prince Charles, coordinated preparations for the Copenhagen Climate Conference. Preparations included another mission to Washington, this time to personally press the Obama administration on the urgency of the monarchy's global "decarbonization" intent, Obama's Science Advisor being fanatic depopulation champion John Holdren, a long-time associate and collaborator of Schellnhuber's. The Copenhagen conference nonetheless failed, after representatives of developing and emerging countries--and the Vatican--realized that the intention behind the climate question was massive population reduction. • And in 2011, in his capacity as chairman of the WBGU, Shellnhuber presented a master plan for a "Social Contract for a Great Transformation," a proposal for establishing a worldwide eco-fascist order. A brief review of Schellnhuber's background reveals that he does not represent the interests of the Catholic Church, nor the interests of planet on whose behalf he so passionately campaigns. Schellnhuber represents the interests of a handful of oligarchs, centered in London, watching their waning hegemony as a new economic order emerges on the planet. Indeed, one must ask of his proposals, cui bono? Given Schellnhuber's British pedigree, the answer is quite clear. NO TO GLOBAL 'GLEICHSCHALTUNG': Helga Zepp-LaRouche's 2011 warning against Schellnhuber's "Master Plan for Social Transformation"
EIR Special Report: 'Global Warming' fraud is Population Reduction, Not Science—now Available! Helga Zepp-LaRouche's 2011 warning of Schellnhuber's "Master Plan for Social Transformation"
The founders and leaders of today's environmentalist movement couldn't care less about the health of our planet. From its beginning, the modern environmentalist movement was founded as a branch of the British Empire to promote human population reduction. It's founders are the same people who brought you eugenics in the 20s, Hitler in the 30s, then "conservation" to avoid the "population bomb" in the 60s and 70s. Today, whether it’s California Governor Jerry Brown trying to convince Californians that only by dismantling one of the world’s most advanced economies will we solve the west’s continent-wide drought, or Han Joachim Schellnhuber co-opting the Vatican to be an instrument of an anti-human movement that claims that “human intervention is actually making our earth less rich and beautiful”, it's the same story: human beings are just another animal species who’s gotten out of control and whose herd needs to be culled. Perhaps these earth-loving visionaries would be a little more optimistic about the human species if their own history wasn’t so damning itself. The folks who created the environmentalist movement, including Sir Julian Huxley, Prince Philip and Prince Bernhard come from a long legacy of imperial subjugation of their fellow man and the planet’s natural resources, including deadly famines in Ireland and India, the looting of whole continents, and more recently, the neo-liberal economic model dominating the planet which has stalled the scientific and technological development of the planet, and institutionalized a highly polluting, third-world sector. So now they want to save the planet? 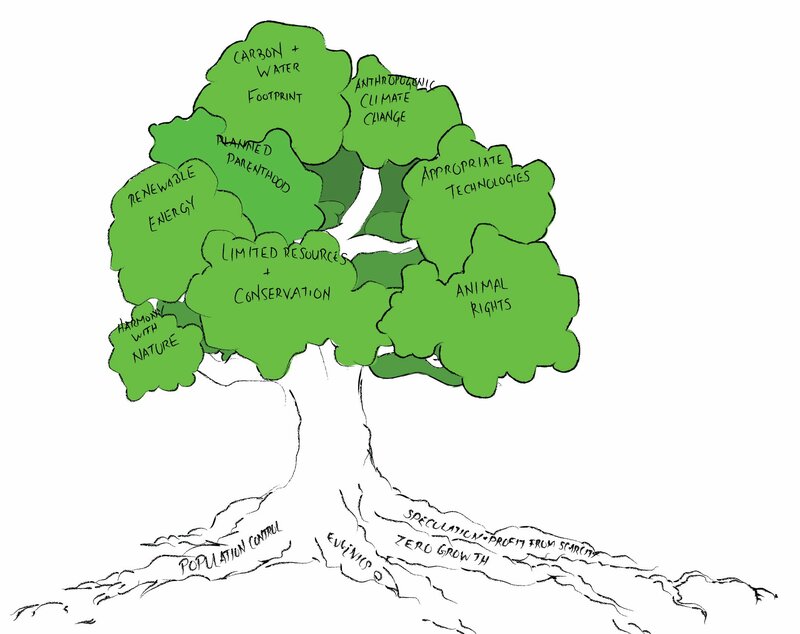 Unfortunately for the earth and its inhabitants, the modern day environmentalist movement has little to do with the environment, and everything to do with indoctrinating future generations with an ideology that will allow a withering imperial order to continue to exist just a little bit longer. What needs to go is this world view, not human beings. Man’s role on the planet is a profoundly unique one. The net effect of human existence on earth is one of organizing the world around him into higher states of organization, consistent with the 100s of millions of years of evolutionary history which occurred before our arrival on earth. To assert that man’s role on the planet and in the Solar System is “destructive”, is itself, ironically, unnatural. The biggest “polluters”, as any thoughtful individual will come to realize, are the very people who created the environmentalist movement, and therefore the first task of a real “green movement” is to finally end the reign of this destructive, imperial worldview. “What we need from scientists are estimates, presented with sufficient conservatism and plausibility but at the same time as free as possible from internal disagreements that can be exploited by political interests, that will allow us to start building a system of artificial but effective warnings, warnings which will parallel the instincts of animals who flee before the hurricane, pile up a larger store of nuts before a severe winter, or of caterpillars who respond to impending climatic changes by growing thicker coats.”Margaret Mead, 1975Keynote Address to "The Atmosphere: Endangered and Endangering"
LPAC Basement member Jason Ross sits down with Paul Driessen, author of "Green Power, Black Death" to discuss the evolution of the green movement. Driessen, once an "environmentalist" himself, details how the what is called "environmentalism" today is, in reality, responsible for millions of deaths world wide. Driessen and Ross also discuss the myth of the "resource crisis" and what is being done to cultivate the ultimate resource: the human mind. Yes, there is climate change—no, it is not your fault! The Earth's climate has been slightly warming over the past century, but that warming stopped over 18 years ago, and global temperatures have flatlined (with many reasons to expect a dramatic drop in global temperature in the coming decades). There is no basis to believe that increasing CO2 emissions will cause some catastrophic climate crisis! In a presentation to the June 2015 Paris conference of the Schiller Institute, Professor François Gervais demonstrated that climate modes (which are the basis for claiming there is a coming man-made climate crisis) consistently fail to match actual measurements, observations, and analysis of the climate. Professor Gervais (Emeritus Professor at François Rabelais University) was an expert reviewer of the Fifth Assessment Report of the UN Intergovernmental Panel on Climate Change (IPCC), so he knows the claims of the IPCC, and knows why they’re wrong. In another presentation to the same June 2015 Paris conference of the Schiller Institute, Professor Carl-Otto Weiss demonstrated that all the temperature changes (rises and falls) of the past centuries (including the present one) are completely explained by two natural cycles of variation: a 60 year cycle of ocean activity and a 200 year cycle of solar activity. Because these natural variations account for all the changes we’ve witnessed in the past 50 years there is no basis to argue that human CO2 emissions have done anything significant to the climate (or will in the future). Regarding the real causes of climate change, LaRouche PAC’s Benjamin Deniston has presented the records and studies showing the top-down role of our galactic system as the dominant factor (followed by the subsumed activity of our Sun) controlling these processes on Earth. See the May 6, 2015 episode of The New Paradigm for Mankind. Ben Deniston's presentation to the June 14, 2015 "Rebuilding the World in the BRICS Era" Paris Conference. Deniston reviews the British version of the Earth's environment, and then presents the Earth's true environment, the solar and galactic factors that determine our climate." I'm interested, I want updates.